What is the Abbreviation for Louisiana? The two digit state code or abbreviation of Louisiana (LA) known as the "Pelican State". Louisiana has 64 counties, and the capital of the State is Baton Rouge. The two digit state code or abbreviation of Louisiana is determined by taking the 'First and Last Letter' of the State's name. The two letter, no-period state abbreviation of LA is recommended by the U.S. Postal Service and should always be used where a ZIP code follows. The purpose of introducing the LA Abbreviation for Louisiana was to make room for ZIP codes in the mailing addresses. There was no attempt to standardize the format of the abbreviations which is why they are usually memorized. The Associated Press (AP) style of abbreviation, the old style, is still used by journalists and business people. As some two digit state codes are determined from the first and last letter of the old abbreviation they are important to those learning about the abbreviations of the US States. 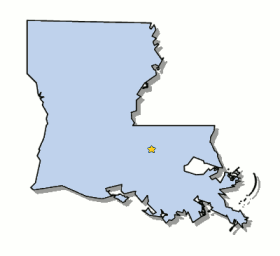 Louisiana - (LA) - La. 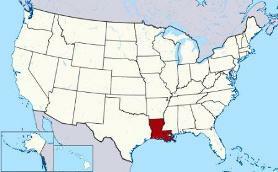 The State of Louisiana is located in the south eastern United States on the Gulf of Mexico. There is no standard format to the State Abbreviations. It's therefore not surprising that you needed to know "What is the Abbreviation for Louisiana? The rules to determine the state acronym, or abbreviation is by the 'First Two Letters', the 'First and Last Letter', the 'Initial Letter of 2 words' and those determined by the 'First and Last Letter of the Old Abbreviation'. Play the Abbreviation of States Game LA! You now know that the Louisiana abbreviation is LA. But what about the abbreviation for all the other US states? We have developed an Abbreviation of States Game to play. It's a totally free, multiple choice, online, picture quiz game with no downloads required. Free fun as you learn! US - American- Louisiana - LA - La. - Map - Postal - Mailing - AP Style - Addresses - Initials - Letters - Digits - Zip Codes - Two Digit State Code - Facts - Info - Information - Kids - Children - Business - Businesses - America - United States - US - USA - LA - La.